No. of Vibrating Shaft: 6 Nos to 10 Nos. 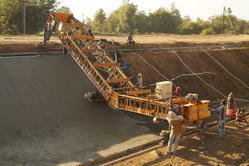 - Concrete Paver for Canal Lining and Concrete Road. 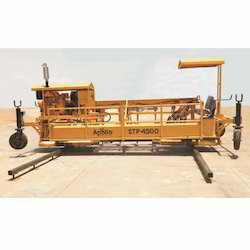 we are manufacturing canal paver since 1993. electrical operated or hydraulic operated paver are available with us. for canal section of 2 m to 72 m.
With our expertise and trustworthiness, we are engaged in offering an optimum quality range of Canal Concrete Paver Machine. Finishing width: 1 meter to 25 meters. We can provide goo quality Roadbuilder nachines on rent. s we are machine manufacturer service will be assured.